Like the lovely city of Margate, our slogan could easily be “Together We Make It Great”. Our professionals know that moving is not a simple undertaking, but with our expertise it can be for you. Our local moving deals and comprehensive pricing packages allow you to settle into your new home or business fast and efficiently. Call Orange Movers today and find out more about our expert team, full services and competitive price plans. Located in Broward County, Margate is a city that belongs to the Miami metropolitan area. With a population exceeding 55,000, you can count that there is plenty of opportunities for you to explore in this lovely place. From job opportunities to schools and athletic & recreational facilities, Margate is somewhat of a Florida gem. So, if you are considering on relocating to South Florida, this is definitely a place to put on your top five list. And if you do reach the decision to move your home and family here, our Margate movers will make sure to get you there without any stress. There are many locations out there to choose from, and our Margate movers might just be able to help you find the best one for you. How do you identify the best Margate movers for your relocation? It’s not that hard, really. All you need is to go through some basic screening of potential moving companies you come across. For example, if you were inclined to check out the extensive Florida local moving options that Orange Movers Miami have in store, you would be amazed at what you find. From affordable rates and top-quality moving services to a coverage of the entire Sunshine State. Base your search online. By far, the best and largest source of information you’ll find. And what’s even better is that you are able to specify your searches to particular areas of Florida in accordance with your needs. For example, if you were looking for moving companies in North Miami Beach, all it would take is to type the term in the search engine. And from there, it’s just a matter of finding the best quotes and services. Get first and second-hand recommendations. Online references are good, but they can still point you in the wrong direction. The bigger the moving company the better the marketing, but marketing won’t move your valuables safely to Margate. Well, why not ask the consumers then. If none of your family or friends can give recommendations, there are always plenty of online reviews and comments. Reach out to a Margate realtor. While exploring Margate and arranging for your new home in South Florida, why not ask about Margate movers. The risk here is that each agency has a deal with certain moving companies, so not really the most reliable way to go, but hey, the point is to have choices. You can avoid scams and the loss of money. Basically, you need to consider that you are moving all of your possessions to a completely new place. The last thing you want is to hire a moving company which might overcharge you or causes damage to any of your things due to mishandling. This is why you need to do a background check. You narrow your choice of potential Margate movers. It might be hard for you to narrow your choice down since every company looks confident enough. When you go through the skeletons in the comments and reviews, scratching off some of them will be a breeze. You won’t even feel it. Make sure to carefully check the information pertaining to your choice of Margate movers. With all this in mind, don’t be afraid to go to the website of each moving company to start your checking. Review their licenses (if they have any), check their references and read through the comments of previous customers. This will give you an overall frame of the company. If you are unable to find any of these, the company is either still green and has no experience or has something to hide. Whatever the case – move on. If they do have everything mentioned, then you have a reason to stick around. 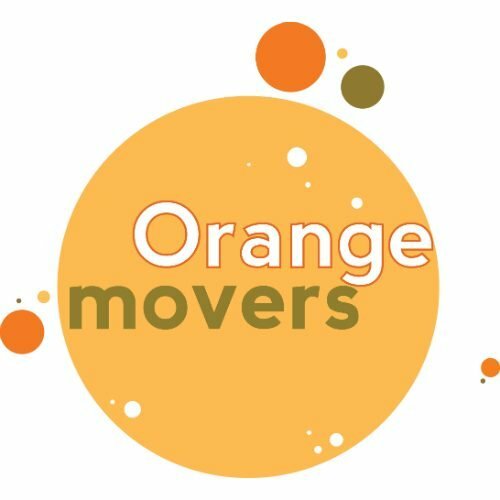 You can use Orange Movers Miami as a good example of what an official moving company website should look like and offer to visitors. Check whether the company is mentioned in any public forums or chat rooms. And while you’re already searching, check whether any complaints have been filed with the Better Business Bureau. Make sure that there will be no third party companies involved in the moving process. Moving quote and services included. Have the representative stop by your home and give him a tour of the relocation job in question. This will give a precise estimate of the manpower and equipment needed to make the move happen. As a result, you will get an exact estimate of the cost and time each company would need to make the move happen. Potential subcontractors. Larger moving companies tend to use sub-contractors, so you need to make sure who would be handling the move. Inquire about licenses and any sub-contractors that might handle the grunt work on behalf of the moving company operating in Margate. Additional fees. Make sure that you will not be charged any additional expenses due to weight or accessibility. If the contract has no mention, you are not obligated to cover any such costs. Insurance options. It’s important that your valuables are insured in cases of damage during transport, given that this happens often. Check with the representative whether insurance is part of the deal or not. If not, make sure to make it happen before the move. You shouldn’t put a price on peace of mind. Extra offers to sweeten the deal. Check whether the Margate moving crew has any limited time deals or offers, anything that would make them stand out. In the end, it might come down to that one factor. Apartment or house, large and small, Orange Movers is on the job. Our experienced residential moving team in Margate provides residents with an expensive way to relocate, without having to do any of the work. Your friends and neighbors have been trusting us for years when making their moves, and for good reason. We don’t just ensure that your possessions are in good hands, when you relocate with Orange Movers, you become our most precious cargo. Moving from one office space to another is not a small undertaking, especially when the business needs to stay up and running. Take it from us, we know that being available for your customers is your first priority. Our commercial relocation team works hard and fast to get all of your systems back up and running, without you having to miss a beat. It makes no difference how big your business is, with Orange Movers your commercial relocation will be a snap. Homes and businesses are comprised of objects of different shapes and sizes. Orange Movers has lifted it all, and gotten them to their new destination with no problem. We specialize in specialty moving, especially when it is a possession that you treasure. Call us if you have a need for heavy or valuable heirloom transport, and be amazed at how reasonable the price is, and how delicately we handle those treasures for you. Sadly, there are moving companies in Southern Florida who are unscrupulous when signing contracts. Hidden in the fine print are often fees and charges that you had no intention of signing on for. Orange Movers is upfront with pricing, making sure that you know what you are getting for the price that you are paying. Our integrity is well known in Margate and all of Southern Florida, prompting residents to come back to us when moving again. Over 60% of our customers have moved with us before, or know someone who has. Word of mouth is how we built Orange Movers, a feat which requires impeccable service and affordable prices for every single job. Our reputation in Southern Florida precedes us, and we continually strive to live up to our good name. When moving around Margate with Orange Movers, you can feel confident that your belongings are in the best hands.. The local moving packages we offer come with all kinds of benefits. First is the great rate, but that’s not all. When you book a local move with Orange Movers you get 10 free cartons to get you started. Plus, if you need a little time before you can settle all of your stuff in, we can give you a month’s worth of storage for free. That’s moving with benefits that you didn’t know you needed until we gave them to you just for signing up. Orange Movers is not just a premier moving company, we also have a state of the art storage facility. Environmentally controlled, clean and secure, this provides the perfect solution if your stuff is too much for your space. We not only will give you the room to store your things, we’ll pack it up and bring it there too. Ask about our short or long term storage plans, and keep your belongings safe and secure for as long as you need. The Orange Movers’ crew loves what we do and it shows. From your first phone call to the last wave goodbye, you will have friendly and helpful experts at every step of your move. Tell us what your relocation concerns are, and we will go above and beyond to resolve them. We take care of your possessions, but we also care for you. Make Orange Movers your next call and see first-hand how moving with a smile makes the whole process bearable. Moving your valued possessions or storing them does not have to be so complicated. Our customer service team is known for its personal touch and care we provide to each and every client.